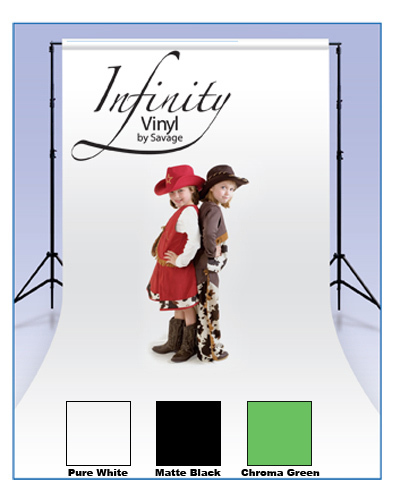 5'x12' Vinyl roll (choose color) with stand. 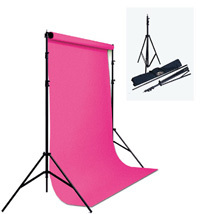 Stand: Port-A-Stand is a versatile yet compact and portable backdrop stand that collapses for easy carrying, making it ideal for location shoots. This strong yet lightweight stand opens to 10’ 6” wide and 8’ 10” high, collapses to 44”, and can accommodate 53” x 36’ or 107” x 36’ seamless paper or fabric backgrounds.